INTERIOR DESIGNERS & DECOR SPECIALISTS? Choosing an interior designer is a very important decision, you must select someone that makes you feel comfortable and that you have a great deal of faith in. A good designer will come to the table with ideas suggestions and designs, not just provide what you have asked for. To complete your project is a lengthy task, be prepared to set aside plenty of time for brain-storming your dreams with the right person. 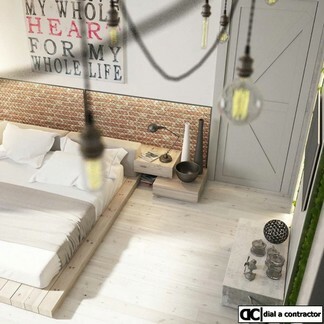 The focus is always on the client, with each project designed to suit the clients’ own personality, taste and requirements in order to create an inspirational interior that is not only unique but comfortable, stylish and timeless. From Interior Design through to Decorating, our teams thrive on turnkey projects, preferring to be involved from the very start of the project to ensure a holistic approach to the planning and implementation of the construction. An interior designer is someone who works with a client to create aesthetic rooms and spaces. Clients range from homeowners to large corporations. The spaces and rooms interior designers create are equally varied, ranging from simple indoor and outdoor home environments to hotel lobbies and lavish mansions. No matter the size, every interior designer works to create spaces that are attractive yet functional. Spaces must also be safe while meeting the specific needs of the client. 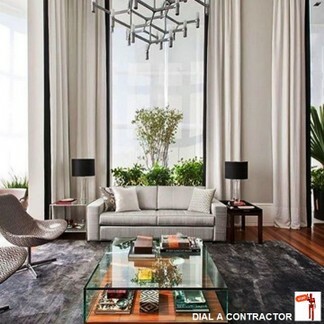 An interior designer is typically an independent contractor who must build a client base. In some instances, a designer will work for a larger firm. In either case, he or she must excel in order to build a positive reputation in the industry and secure future work. An interior designer creates indoor spaces that satisfy the client's needs for aesthetics, safety and function. Through the use of furniture placement, colour palettes, decorations and functional decor, he or she will create kitchens that are beautiful yet functional and theatre entrances that convey the excitement of a blockbuster film while ensuring crowd safety. 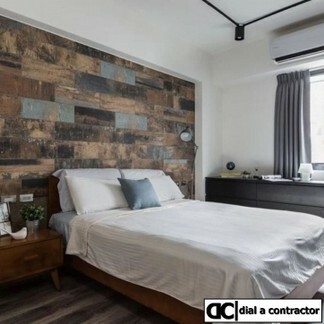 Elements such as artwork, lighting, window treatments and flooring must work together to contribute to an overall look that will satisfy the client's needs. 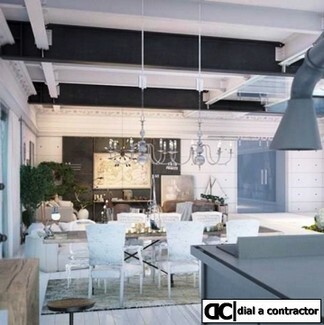 An interior designer may specialize in commercial or residential design or be involved in both. 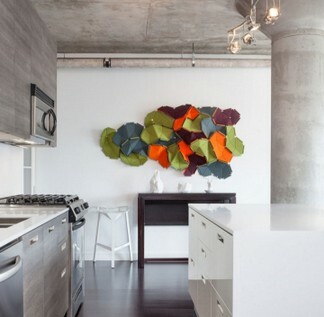 Two new and emerging areas of interior design are green design and ergonomic design. In ergonomic design, designers work to create spaces, especially work environments, that contribute to good posture for employees confined to offices for most of the day. For labourers, designers create spaces and work areas that will result in reduced muscle strain. Green design incorporates the use of renewable, recycled or energy-efficient elements to create a more environmentally friendly space. Toss aside the idea that interior designers are only for the rich and famous. It may seem hard to believe but, in the long run, a well-chosen decorator can actually save you money. ‘A designer will help you plan, plot and coordinate every stage of your project, eliminating, as far as is realistically possible, hiccups along the way that can cause unnecessary delays or lead to expensive mistakes,’ says successful Johannesburg-based interior designer David Muirhead. ‘There is so much more to a well-designed room than simply filling it with your favourite things,’ says Sumari Krige, award-winning interior designer and owner of La Grange Interiors in Kramerville, Johannesburg. ‘Designers are trained to know scale, proportion, colour, size and texture, and so will professionally assess your space to ensure it’s used with maximum efficiency and functionality.’ In short, a designer offers an extra set of eyes – eyes that are trained to see things you may not. 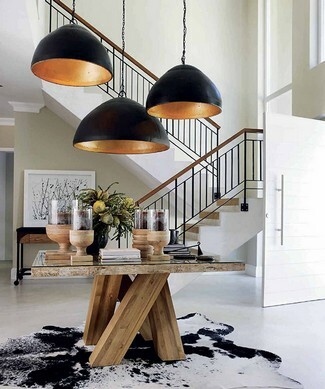 ‘Sarah has all the industry connections so sourcing furnishings and fabrics was second nature to her, which, in turn, helped keep the project on deadline,’ says hotelier Michael Pawlowski who commissioned Ord to decorate the four luxury villas that comprise his La Clé des Montagnes in Franschhoek. ‘Designers also have access to trade-only resources that are often not available to the general public or are heavily discounted when bought through a professional,’ comments Ord. Architect, decorator and landscaper, not to mention all your contractors, need to be on the same page, and the designer, as Jack of all trades, is often the one who makes this happen,’ says Krige. ‘A designer will be able to build a stronger bridge between you and your architect or contractors early on and can avoid design mistakes in your overall plan. This is crucial in managing time and money,’ explains Ord, adding that designers are trained to think about things clients may overlook. 10. What’s the most common interior design mistake?